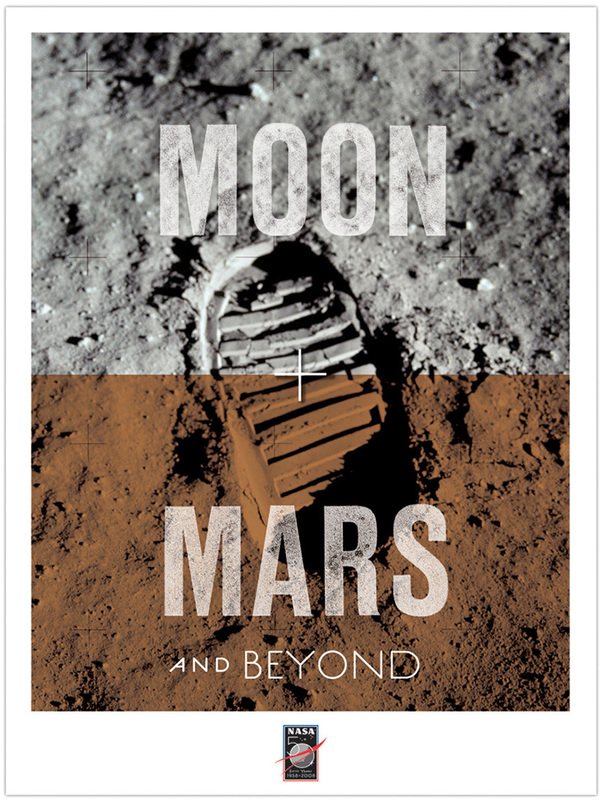 MetaVisual created a vintage themed poster for NASA’s 50th anniversary through a merchandising agent. 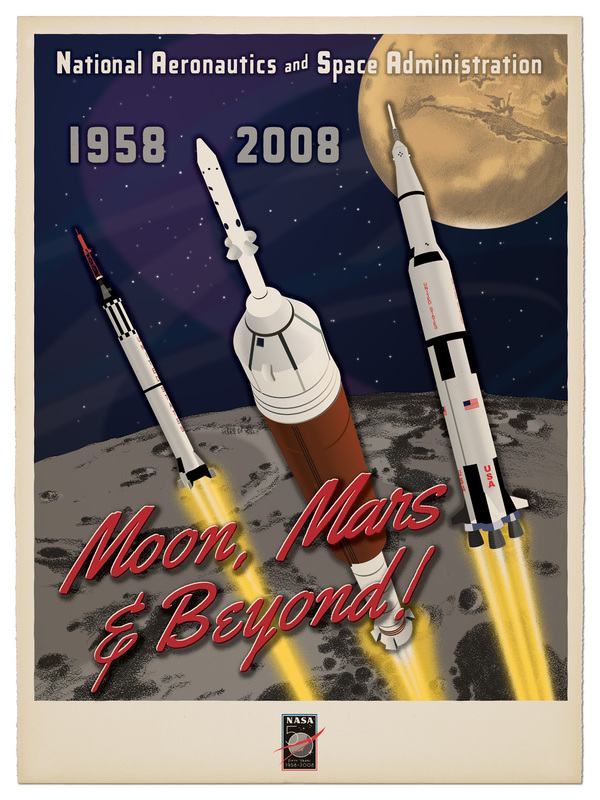 Integrating the agency’s Moon, Mars & Beyond theme reinforced a “through the ages” treatment showing Project Mercury, Apollo and Constellation launch vehicles. A very detailed illustration that took several weeks to complete. However, illustrating how unpredictable the design process can be, this secondary design appeared in a brief moment of inspiration, and came together, fully formed, within minutes. And it’s a more visceral, emotional image—a better piece of communication.